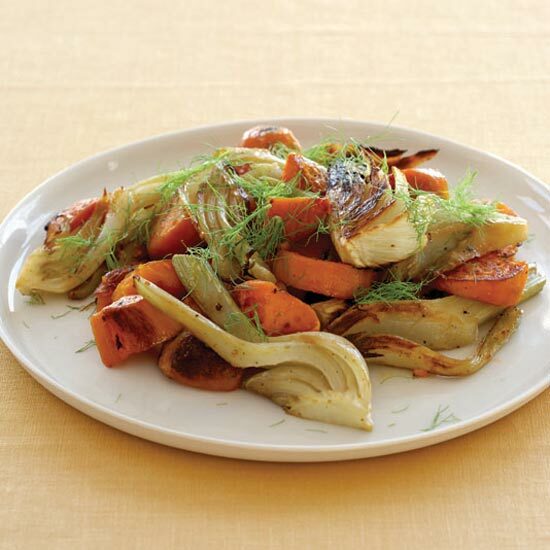 The roasted vegetables can be refrigerated overnight. Reheat in a 400° oven before serving. One Serving Calories 211 kcal, Total Fat 6.2 gm, Saturated Fat 1 gm.